I AM PLAYING THIS SONG AT A FAMILY GATHERING IN THE PRESENCE OF MY VERY CATHOLIC RELATIVES AND NOBODY CAN STOP ME!!!!!!!! The great thing about this song is you don’t really need a shopping pattern you can just run them down once for each chord. What is the strumming pattern? I’ve found +5 and -2 to be the easiest in terms of simple fingerings. Does anyone know the strumming to the song? If so, please let me know, thanks. Also chords are the same for the second verse, you guys probably aren’t just playing it correctly. His tutorial is exactly like this. 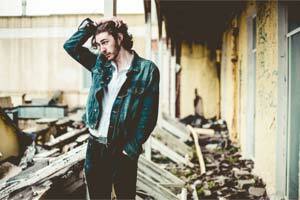 Born on St. Patrick's Day and hailing from County Wicklow, Hozier was raised on the building blocks of popular music: rhythm and blues, soul, jazz and the deep dark stuff stretching from Chicago to the Delta. He joined his first band when he was 15 years old, fronting a soul band with some older heads. Taught himself to play guitar and piano, and went to Trinity College to study music. Whilst there, he bagged a seat on the flight deck of the symphonic B-52 that is the Trinity Orchestra, fronting their missions into the world of classic rock. .